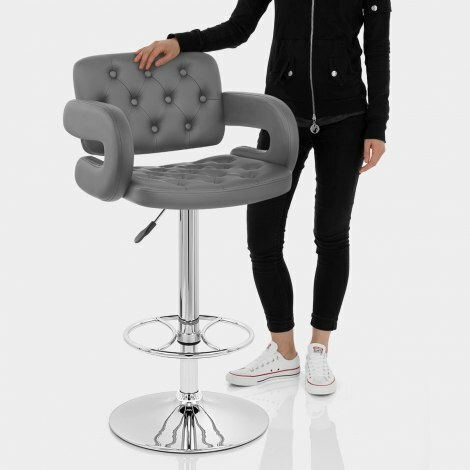 Delivering a chair-like experience at kitchen worktop height, the Polaris Bar Stool Grey has an all-encompassing design. Merging retro style with modern refinement, the Polaris is a fashionable and comfortable accompaniment to the bar area. 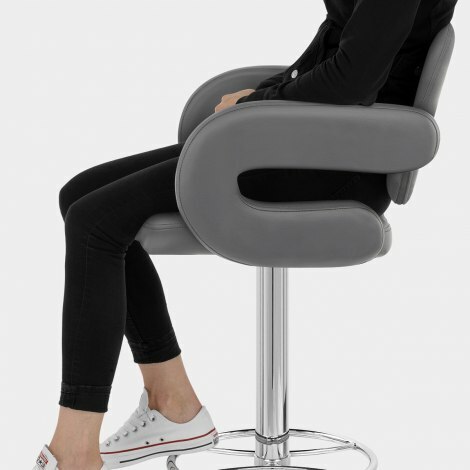 Generous in comfort and support, the grey faux leather seat has a padded design with stylish curving armrests. The focal point of this design comes with the quilted button detailing in the seat and backrest pad, lending class and panache. A chrome frame enables adjustability with its variable height gas lift mechanism and 360-swivel feature. Surrounding the central column is a stylish circular footrest that complements the round base, which has a protective floor guard underneath. 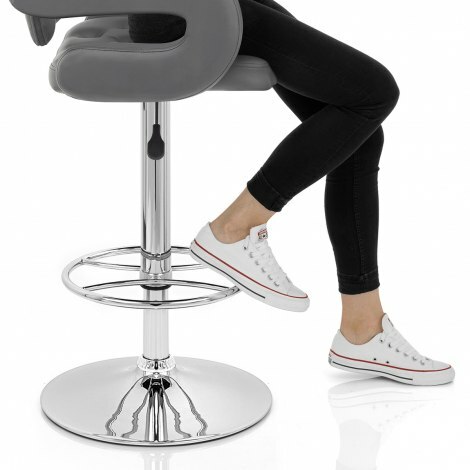 "Good service, good price and good quality"
Excellent comfortable chair and easy to assemble. Fits the bill totally would recommend. Very good looking chairs and quite comfy. Look great in our little eating area in the kitchen. Took about 5 mins to build each chair which is surprising because they feel very sturdy. Great value for money! Also the delivery service was excellent as always is with DPD. Absolutely lovely, good service, good price and good quality.